InteraXon wants to read your mind. Well, certain signals from it, and turn that information into actionable data that developers can use to develop applications that you can control with your mind. 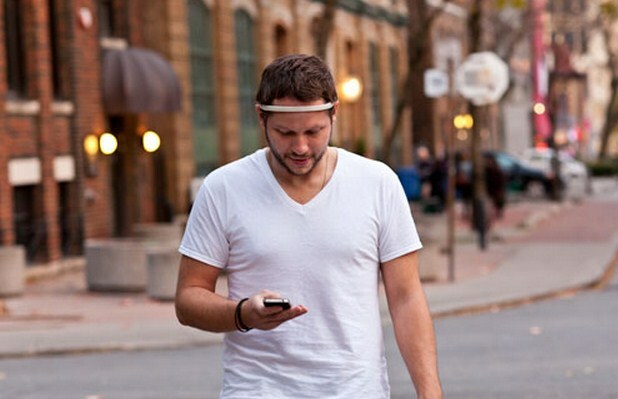 Muse uses sensors to pick up the tiny electrical outputs generated by your brain’s activity. As you shift your mental state between states like concentration and relaxation, our algorithms detect the subtle changes in your brain and show you those changes in real time. Whether you’re working to build your mental skills, taking a moment to relax, or just curious about what’s going on inside your head, Muse will give you the information you’re looking for. Awesome? Yes, most certainly, if the technology can be refined to the point that it’s both perfectly fluid for developers and users alike; there will likely be a learning curve for users, as they become accustomed to ‘signing’ with their minds. Try this phrase on for size: mind control for your iPad. Feels good, yeah? The company is looking to raise $150,000 through IndieGoGo – a crowdfunding website – by preselling its head units at a discounted rate. First folks through the gate can pre-0rder a headset with shipping for $135. That price is going to skip up to $200 as the product’s final retail price. Raising just $150,000 IntreraXon needs to sell just over 1,000 units to hit its mark. Let’s hope they do. Apple popularized touch with the iPhone. Microsoft made voice and motion control normal with Kinect. Next up, squinting until your computer beeps.